8/16/16: In 1964 Peter spent two weeks in Jackson, Mississippi as a member of a project giving legal aid in civil rights cases. 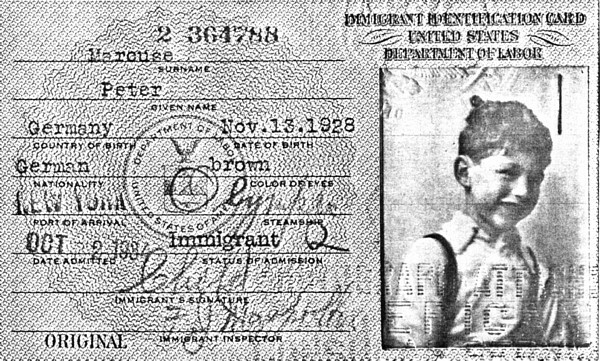 He wrote a series of five articles for his hometown newspaper, the Waterbury American, describing his experiences. You can read the articles in one 12-page pdf, or individually, as listed below. "Traveling In Another World," July 9, 1964. Describes his arrival at the Jackson airport, and some forms of harrassment that civil rights activists experience from police and local residents. "Modern Mississippi Justice," July 13, 1964. Describes how the judicial system (frivolous arrests, bail, legal counsel) was used to silence integrationists. "'War' in Mississippi," July 17, 1964. Describes a meeting with the adversarial mayor of Columbus, MS, about the arrests of volunteers who were passing out leaflets in a Black neighborhood, and how difficult it was for legal aid to rent a typewriter locally. "'Progress' in Mississippi," July 18, 1964. Continues the previous installment, about the hurdles in filing a petition to remove the case from local jurisdiction to a Federal Circuit Court. "Still a Long Way To Go," July 21, 1964. Offers an overview of the effects of the Civil Rights Act: how integrated businesses and better-off Blacks are benefitting, while "normal" citizens see few gains. Describes an integration "test" of small groups of Blacks ordering lunch at various restaurants in Laurel, Miss., and what happened in one case. Peter recalled (and re-found) these articles after watching the PBS American Experience installment on President Johnson; in 2014 PBS aired a very moving documentary on the Freedom Summer, both of which can be watched online. 5/24/2012: Peter was interviewed by the German newspaper Jungle World. The title of the published article translates as 'You can't wait until the revolution happens when you need a place to sleep right now.' About: "das Konzept »Recht auf Stadt«, den Umgang der »Occupy«-Bewegung mit Obdachlosen und den langen Weg zum Sozialismus." 7/26/11: Since Nov. 2010 Peter has been writing a blog--check it out! 10/19/09: Our family friend Anita Segalman painted a portrait of Peter years ago (1970s?). She has made it available on her new website. 11/25/08: Peter's CV (looks like 2003 version) is available at the University of Darmstadt's urban-studies.de site (2016: 2011 web archive version). 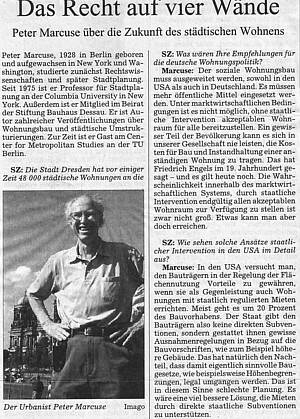 11/3/08: "The Right to the City: Prospects for Critical Urban Theory and Practice" [2016: link dead; not in web archive] is a conference being held in Berlin on Nov. 6-8 in honor of Peter's 80th birthday. The link above gives the full program; see also the invitation to the Nov. 6 keynote: pdf, jpg p. 1, p.2. Im Rahmen eines Kongresses im Haus der Kulturen der Welt werden seit Donnerstag New York und Berlin miteinander verglichen. Es geht unter anderem um stadtplanerische und soziologische Aspekte. An diesem Abend ist die kulturelle Vielfalt in den Städten ist am Donnerstag das Thema von Stadtplanungsprofessor Peter Marcuse." For more information on his conference presentation about ethnic and multicultural diversity in the cities, "Die Dynamiken der Stadt - Fragmentierungen und Konzentrationen New York - Berlin: Kulturelle Vielfalt in urbanen Räumen," see this summary on the Haus der Kulturen der Welt website. 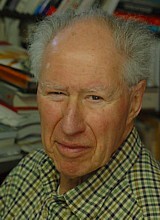 Peter Marcuse, Herbert's son (and a professor of urban planning at Columbia University in New York City), is the literary executor for Herbert's estate. Requests to publish, republish or translate any of Herbert's writings should be addressed to him at [email protected]. 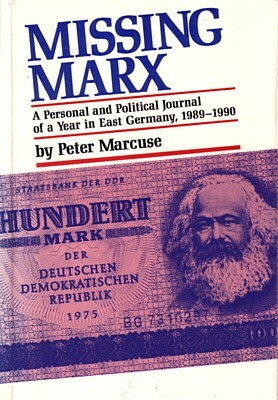 Copyright to the material, if obtained, should be assigned to Literary Estate of Herbert Marcuse, Peter Marcuse, Executor, at the address below. 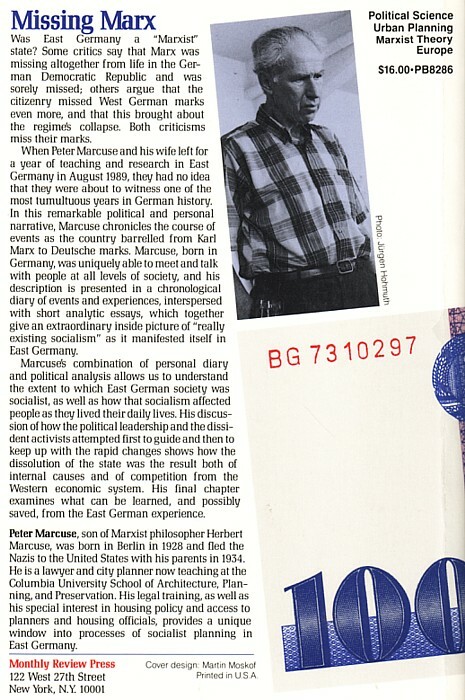 Herbert's letters and papers are held as the Marcuse Nachlass at the Archivzentrum of City and University Library in Frankfurt, Germany (Stadt- und Universitätsbibliothek). Peter-Erwin Jansen can grant permission to scholars to see limited-access materials. 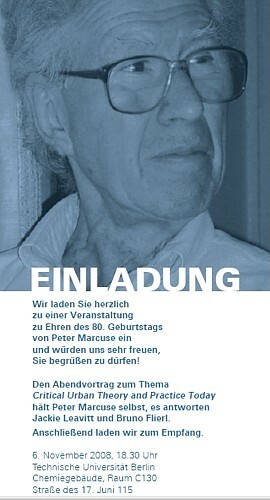 Peter Marcuse was born in 1928 in Berlin, the son of book sales clerk Herbert Marcuse and mathematician Sophie Wertheim. They soon moved to Freiburg, where Herbert began to write his habilitation (thesis to become a professor) with Martin Heidegger. 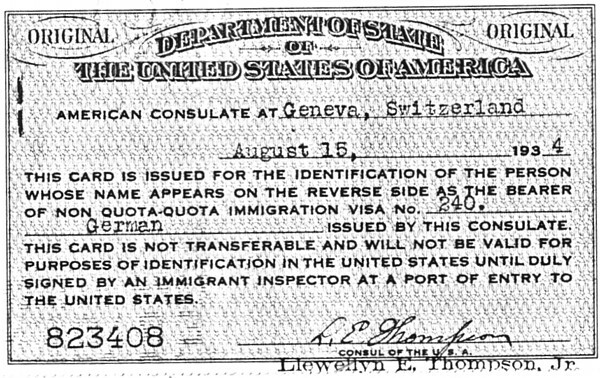 In 1933, in order to escape the Nazi persecution, they joined the Frankfurt Institut für Sozialforschung and emigrated with it first to Geneva, then via Paris, to New York. 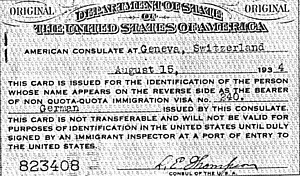 When Herbert began working for the OSS (forerunner of the CIA) in Washington, DC, the family moved there, but Peter also lived with family friends in Santa Monica, California. He attended Harvard University, where he received his BA in 1948, with a major in History and Literature of the 19th Century. 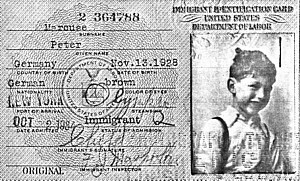 In 1949 he married Frances Bessler (whom he met in the home of Franz and Inge Neumann, where she worked as an au pair while studying at NYU). In 1952 he received his JD from Yale Law School and began practicing law in New Haven and Waterbury, Connecticut. Peter and Frances had 3 children, in 1953, 1957 and 1965. He received an MA from Columbia University in 1963, and a Master of Urban Studies from the Yale School of Architecture in 1968. He received his PhD from the UC Berkeley Department of City and Regional Planning in 1972. 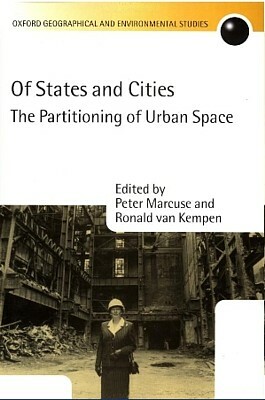 From 1972-1975 he was a Professor of Urban Planning at UCLA, and since 1975 at Columbia University. Since 2003 he is semi-retired, with a reduced teaching load. 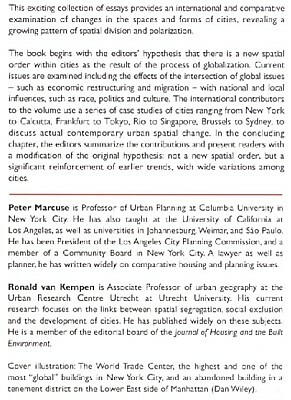 Peter's 2003 CV is available at the University of Darmstadt's urban-studies.de site. July 2003: A reflection on the personal, political and symbolic meanings of the burial of Herbert's ashes. This is, if I (Harold) may say so, a very interesting piece. 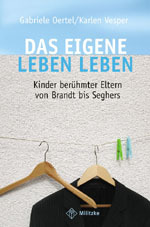 A book of biographical "portraits" based on interviews with the children of prominent parents was published in Germany in 2004. 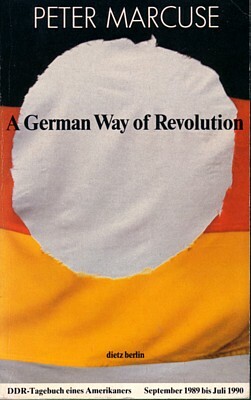 It includes an interview with Peter Marcuse. "Wie fühlen, denken und leben Kinder berühmter Eltern? Nehmen sie das große Erbe an und tragen es weiter? Können sie je mündig werden, gelingt ihnen die Emanzipation von den mit einer Aura versehenen Eltern, gehen sie eigene Wege?" Fragen über Fragen, und die Antwort(en) weiß leider nur der Wind. Die "berühmten Eltern" würden sich vermutlich mehrmals im Grab herumdrehen, käme ihnen zu Ohren, was ihre größtenteils mißratenen Sprößlinge in dem Sammelbändchen "Das eigene Leben leben" alles von sich geben. Nun mag es ja Leser geben, die in Demut auch noch den lächerlichsten Heiligenlegenden lauschen und sich allen möglichen Stuß als hohe Weisheit andrehen lassen, aber was zuviel ist, ist zuviel. Wenn beispielsweise Rudolf Bahros Sohn Andrej es bereits für "Dynamik" hält, wenn im Bundestag Rio Reiser und "irgendwann einmal Techno" gehört wird, dann ist damit praktisch eine Zone erreicht, vor deren Grenze die Waffe der Kritik gestreckt werden muß. 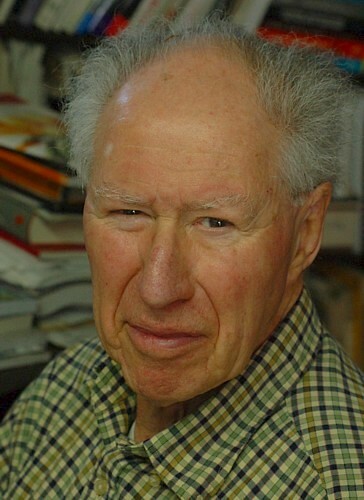 Und wenn Peter MARCUSE, der Sohn des Theoretikers der eindimensionalen Gesellschaft Herbert MARCUSE den durch nichts zu rechtfertigenden Optimismus seines Vaters teilt, "eine Gesellschaft ohne Krieg, ohne Grausamkeit, ohne Brutalität, ohne Unterdrückung, ohne Dummheit, ohne Häßlichkeit" sei möglich, kann man sich der frevlerischen Vermutung, daß unsere 68er-Idole zu ihren Lebzeiten nicht nur freundliche Schwarmgeister, sondern veritable Knallköpfe waren, nur schwer entziehen. 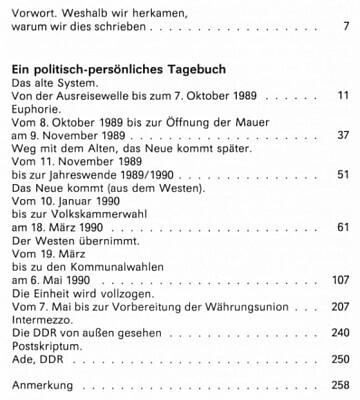 Daß Herbert MARCUSE "niemals dem Terror das Wort geredet hat", darüber könnte man lange streiten. Aber zumindest war sein Verhältnis zur Gewalt der angeblich "unterdrückten Minderheiten" dergestalt, daß Theodor Adorno in vielen Briefen an Max Horkheimer seine Verzweiflung über MARCUSEs positive Haltung gegenüber der "gewaltigen Zersetzungskraft" des gewalttätigen studentischen Protestes ausdrückte." 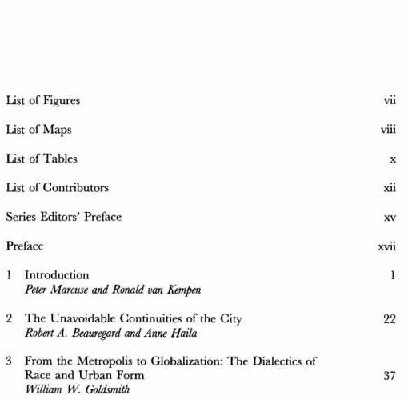 teaser: "A spectre is haunting cities around the world: the spectre of globalization." If today's cities are full of injustices, what would a 'Just City' look like? 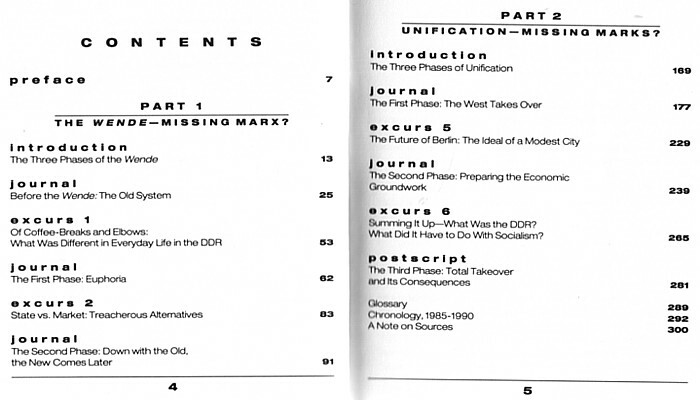 Contributors to this volume, including David Harvey, Peter Marcuse and Susan Fainstein, define the concept, examining it from multiple angles, question it and suggest alternatives. Postscript: Beyond the just city to the right to the city / by Peter.